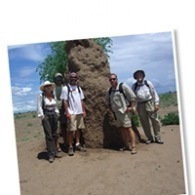 All Great Beyond Adventures tours, river cruises, expedition cruises, and adventure trips. Find the best guided trips and expert planned vacation and holiday packages. Average rating of 5.0 for all Great Beyond Adventures trips. Thrill to the non-stop adrenaline of Class III and Class IV rapids down the Pacuare River, under the close tutelage of expert rafters. Discover the pristine wilderness, crystalline waterfalls, and virgin waterways of Costa Rica’s tropical rainforests while learning the art of canyoning. Bike along and sleep on the sides of the active Turrialba Volcano, reveling in a lush and stunning landscape that provides panoramic vistas. Witness the beauty of life at the ice floe edge and beyond it, where frozen ice meets open water – crystalline icebergs carved from glaciers, electric-blue pack ice formations, hundreds of birds diving and weaving, and of course, the migrating pods of whales. See the northward migrating bowhead whales breach playfully, fin sideways, and slap their immense fluke on the mirror-smooth water amongst the floating ice pancakes. Wonder at the actual immense size of walruses – bigger than a car – as you see large herds sunning themselves on floating ice islands. Capture stunning photographs of pods of whales or a mother walrus and baby in the soft glow of the midnight sun. Try local Inuit delicacies of seal, caribou or walrus.